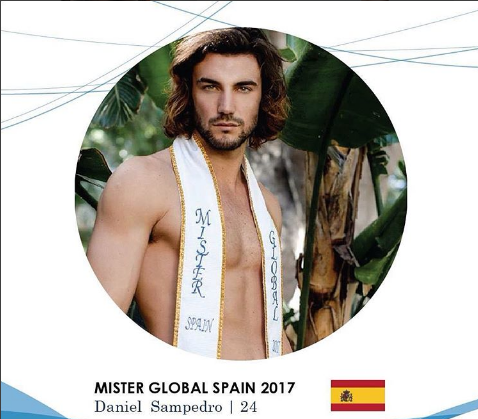 Daniel Sampedro is Mister Global Spain 2017. He is 24 years old, works as a paddle coach and also studies at University of Oviedo. His interests include fashion and sports especially football, boxing and tennis.